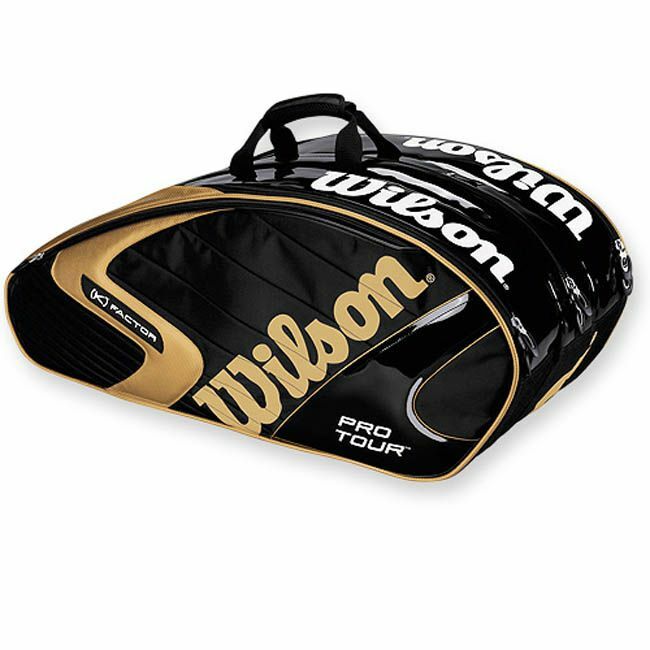 The Wilson K Factor K Pro Black / Gold Super Six Racket Thermal has two main racket compartments, one featuring Thermo Guard and one features Moisture Guard, to keep your rackets cool and dry. A side accessories pocket can hold your extra grips, strings and a towel or keys wallet and the like. This bag comes with a separate and removable wet/dry bag, and also features adjustable padded dual backpack straps for ease of carrying. Bag Dimensions: L31" x H14" x D15"
Large accessories compartment can hold a change of clothes, tennis balls, a pair of shoes or other court accessories. for submitting product review about Wilson K Factor K Pro Black / Gold Super Six Racket Thermal.